Truly reminiscent of a rock star, his awe-inspiring stage presence is always met with thunderous applause and gorgeous ladies swarming around him like bees. And, despite being a lighthearted conversationalist, and what I’d like to describe as a ‘fun guy’, 2Blue is a true blue musician with viable love and dedication towards music. 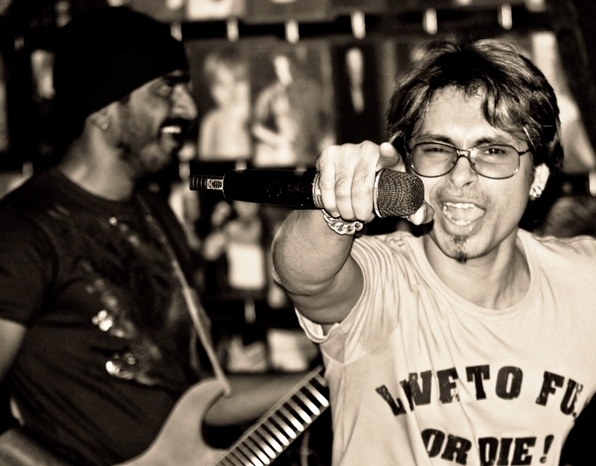 Along with his Mumbai based band Zedde (one of India’s leading Rock bands), 2Blue is committed to making original music that rocks the worlds of many. Q. Zedde – fan base from all around the globe, more than 5000 likes on Facebook and counting and many prestigious awards. How does it feel? 2Blue: It sure feels good to have a growing fan base and the awards. But an artist needs to live in the present and not bask too much in past glory. While Facebook likes and fancy awards may put his name out there, they should not be used as a certification of his talent... because there will always be many out there with far more talent and far less luck. The funny thing is: the vice versa is equally true. Switch on a radio or a television set and you will see what I saying (winks). Q. What is the connection between Zedde and North-East India? 2Blue: I was born and raised in Agartala, Tripura. Two of my friends from Guwahati, Assam — Akashdeep Gogoi and Deepu Saikia — handle bass playing duties for the band depending on their availability. So that’s one half of the band with its roots in the North-East. Q. 2Blue! Very unusual name. What is the story behind? We would also like to know your alternate name, if any. 2Blue: Here are a few other ‘unusual’ names: Skrillex, Bono, The Edge, Sting, Eminem, 2Pac, Slash and Babul Supriyo. Just wait till I get famous enough for ‘2Blue’ to sound really cool (laughs out loud). Okay, on a serious note, Tublu is a very common pet name amongst the Bengali community that I come from. I just like its alphanumeric incarnation better. Had this article been for a business magazine, you would have been addressing me as... wait for it... Tirthankar Poddar. You can now laugh all you want (smiles). Q. Vayu to Zedde. How did it happen? 2Blue: All things come with an expiry date, no matter how good (or bad) they are. So soon after the Vayu album ‘Wings Of A Dream’ was released, Zedde was founded. One phone call was all it took. 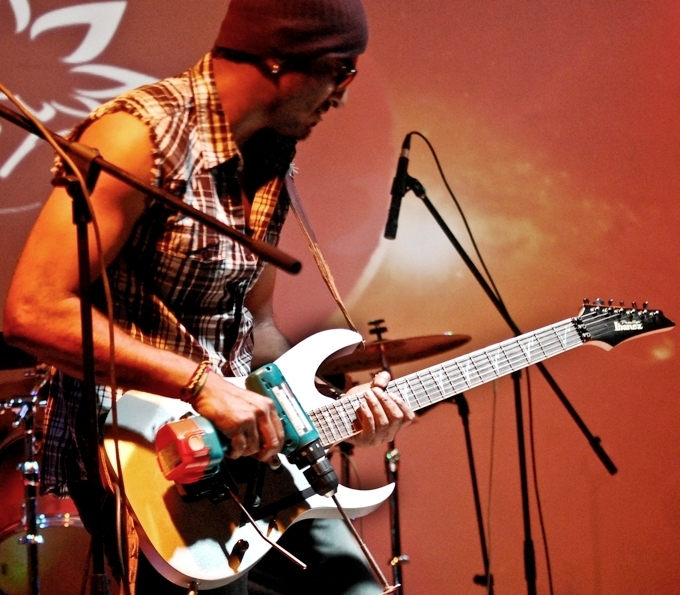 Guitar player Claver Menezes, who was at the other end of the line, readily agreed to come onboard. That’s how the nucleus of the band was formed. Q. Tell us something about Zedde’s members and the gears they use. 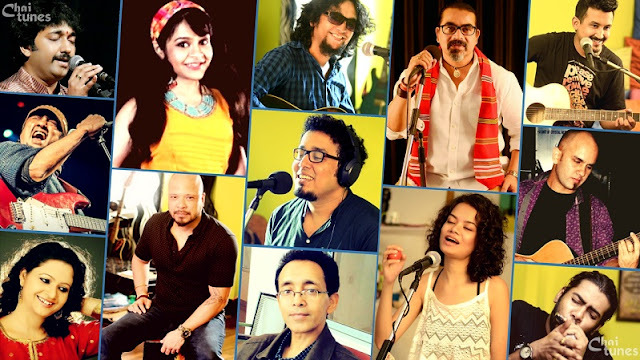 2Blue: Zedde (pronounced zēd) is essentially a 4-piece rock band featuring Claver Menezes on guitars, Akashdeep Gogoi (and sometimes Deepu Saikia) on bass as mentioned earlier, and Trevor Berchman on drums. While each member of the band keeps upgrading their gear, the last time I checked, Claver used Ibanez guitars with Tech 21 Liverpool Distortion, Tech 21 DLA, Jim Dunlop Cry Baby Wah, and a Boss GT8 processor. Of course I can’t resist the urge to mention the Makita drill machine he uses on our recent single ‘Blame It On Her Youth (The Electric Drill Song)’ which is now available for free download on our website www.ZeddeLIVE.in (smiles sheepishly). Akash has way too many bass guitars to mention: right from a 6-string Ibanez SR3006 and a 5-string Fender Jazz, to a headless Steinberger and a Asbory rubber bass. His choice of pedals includes (but is not restricted to): Boss Super Octave, Boss Bass Equalizer, Hartke Bass Attack, and EBS Micro Bass II. Trevor is a fan of all things Zildjian. When recording in the studio, he likes his Yamaha and/or Roland virtual drums. When touring with the band, he settles for whatever the event organizer has the budget for (laughs out loud). When it comes to my personal favourite, I like to use a Shure SM58 cordless along with a Boss Digital Delay pedal. And of course, I like my megaphone (smiles again). Q. What/who inspired you to create your milestone project ‘Mumbai’? How did you promote it? If you pay attention to the lyrics, you’ll see it’s about taking the “one-way train” to the city with “just a bag of dreams”, “knocking the doors”, “chasing the sun”, “until she hears your silent screams”. Then “she puts her wings around you”, “takes away your crown of thorns”, “nurses your wounds”, “washes you clean”, and “saves you from the howling storm”. So in more ways than one, it is the story of my life... of the small town boy who moved to the city for a better tomorrow. How did we promote it? Well, the initial plan was to debut the song at the erstwhile south-Mumbai night club (Not Just) Jazz By The Bay on Saturday, November 29, 2008. Then all hell broke loose on Wednesday, November 26. The city bled for days. Innocent lives were lost. It was no time to celebrate music. So we cancelled the show. Then on November 26 the following year, the music video for ‘Mumbai’ debuted on VH1. It may not be the fanciest thing you’ve watched on TV but it managed to climb to #1 position on the YouTube India charts within 24 hours of upload. It sure has emotions that run deep. Q. The new Zedde CD is currently being recorded. What would be the name? Any collaboration with any other musician or band? 2Blue: We have 10 original songs that have been tried and tested at several venues across the country. As soon as we have a couple of more songs that all members of the band are happy with, we will start knocking a few doors again (smiles). We haven’t settled on a name yet, and since this is going to be our first full length album, I think it is best we exploit the band’s intrinsic talent pool to create it so we can grow organically. Q. Are you satisfied with the present music scenario of India? Do you want the industry people and the Government of India to change anything? 2Blue: The music scenario in India is definitely a lot more promising now than it used to be say about 10 years back. The focus has shifted to originality and in spite of the steep uphill climb, a lot of self-respecting musicians have embraced the Do-It-Yourself model. Musicians today are not afraid to be their own publicists, producers, distributors, and managers amongst other things. The success stories are quite a few. But the thing about success is that when some milestones are met, a whole new world of ambitious milestones gets created. So some more support and appreciation from mainstream media would help motivate, spur, and channelize creative efforts. Another thing I would like to mention is the lack of adequate attention for the ‘artistic middleclass’. Music companies, promoters, journalist et al are all busy promoting either fresh talent or iconic acts, with brazen lack of concern for those that don’t fit into these extremes. Let the aforementioned people be reminded that it is the artistic middleclass that connects with its audience at a very personal level. It is the artistic middleclass that builds long lasting relationships with their fans and supporters via social media and intimate club concerts. Fresh talent does not have that luxury while iconic acts have way too much going on to maintain that personal touch. So the artistic middle class is what brands and music business people need to take more interest in to push the right kind of marketing communication out to their target audience. As far as the role of the government goes, cultural exchanges beyond the realm of domestic pastures should be encouraged more vehemently. Entertainment taxes should be made more reasonable too. Q. If a new band or a singer wants to follow the footsteps of Zedde and 2Blue, what will be your advice? 2Blue: I am not sure if I would make an ideal role model but I sure have had my share of good and bad times to know that it’s a brutal world out there. But if you are armed with talent, passion, ambition, and faith, nothing can stop you. So follow your heart. You stand to lose way too much if you don’t.